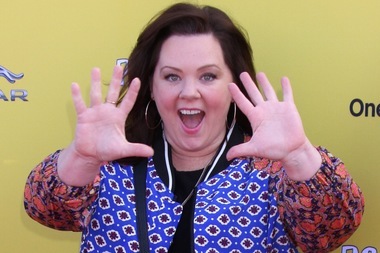 Melissa McCarthy will be in Lakeview on Tuesday shooting scenes for "Michelle Darnell." CENTRAL LAKEVIEW — Neighbors were worried when it appeared Mexican restaurant El Burrito Sabroso was replacing the "most interesting corner tavern," as Matilda's calls itself. "We saw this today and were bummed. And I said, 'I feel like a cheap Mexican restaurant doesn't really fit in in this area,'" one person wrote on Matilda's Facebook page. Turns out, Matilda's and its lower level club Baby ATLAS are being used to film scenes for Melissa McCarthy's new movie, "Michelle Darnell." There was one giveaway that El Burrito Sabroso wasn't quite what it seems: the phone number listed on the new awning was (312) 555-0126 — the "555" prefix is often used for fictious phone numbers. On Friday, Matilda's, 3101 N. Sheffield Ave., reassured customers it wasn't going anywhere, and promised McCarthy — known for her roles in "Mike & Molly," "Tammy" and "Bridesmaids" — would be around on Tuesday. Kristen Bell was spotted in the area Tuesday as well. In honor of the temporary redesign, Matilda's is offering $1 off any Mexican cuisine, including burritos, tacos and margaritas. Neighbors also received a notice from the "Michelle Darnell" production company, reminding them that parking would be blocked from 8 p.m. Monday through 2 p.m. Tuesday in several locations for the filming. The movie, the second co-written by Illinois native McCarthy and her husband Ben Falcone, stars McCarthy in the titular role. Michelle Darnell emerges from prison after serving time for insider trading and rebrands herself as America's latest sweetheart, according to IMDB. The cast includes big names like Peter Dinklage ("Game of Thrones"), Kristen Schaal (most recently cracking us up in "The Last Man on Earth"), Kristen Bell, Kathy Bates and Cecily Strong. The production company did not immediately return out calls about why Matilda's was chosen.